Get Acquainted Day 2019: Accepted Student Highlights | The Gettysburgian. Each spring, Gettysburg College hosts a Get Acquainted Day for accepted and newly enrolled students. Hundreds of prospective students and family members bustle around campus, enjoying the atmosphere of the college. The future class of 2023 and their families had a busy schedule with activities ranging from an exposition for clubs and services in the morning to academic presentations and a reception for accepted students in the afternoon. 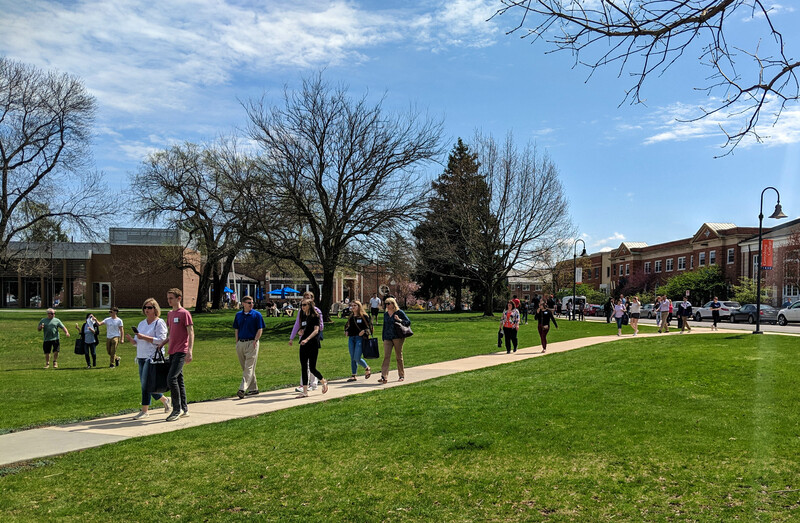 On Get Acquainted Day, accepted students ultimately found a sense of community and a plethora of experiences awaiting them at Gettysburg. Thea Toocheck '21 plans to double-major in English and History. She loves traveling (she's been to six continents), reading, writing (she's self-published four books), musicals, and her dog (his name is Cosmo). Thea is also a fan of sleeping, Harry Potter, and anything Disney. Follow her on Instagram @theajoytooch.